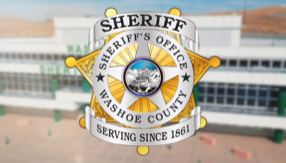 The Northern Nevada Regional Intelligence Center (NNRIC), is located within the Washoe County Sheriff’s Office. The Center was established to collaborate in the collection, analysis, and dissemination of “meaningful actionable, strategic, and tactical intelligence” throughout the region. The Center will provide the tools and expertise for all regional agencies to maximize their ability to anticipate, identify, monitor, prevent and respond to terrorism and criminal acts occurring in the Northern Nevada region and beyond.